for managing the operations of the fraternity and oversees other volunteer positions. The Management Team (MT), comprised of two elected officers (president and executive vice president), four area vice presidents and sixteen regional directors. Learn about becoming a volunteer. Mike Dickerson is currently the fraternity’s president and helps lead the Fraternity Ritual Team. He was initiated into the Beta Xi Chapter at Virginia Tech in 2004, where he graduated with degrees in business management and political science. 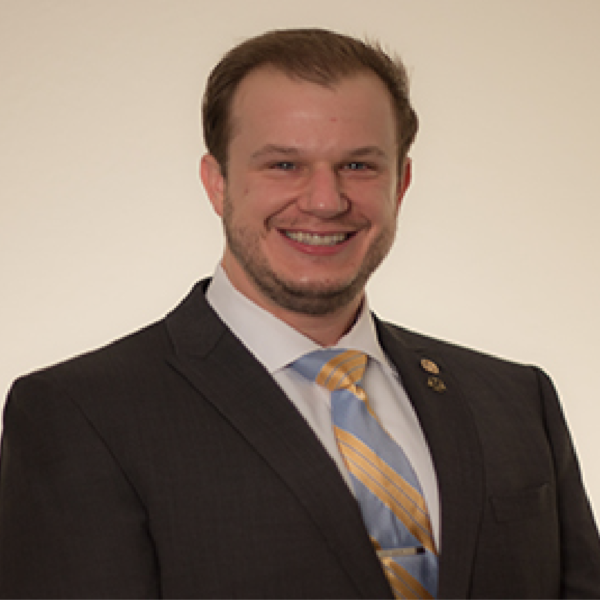 After graduation, Mike was appointed the founding chapter advisor to the colony at the University of Maryland; he later was the founding CA at both the George Washington University and the University of Delaware, while serving concurrently as a section director. Mike was elected Mideast regional director in 2009, re-elected in 2011, and appointed by the BOD as the final Mideast RD later that year. 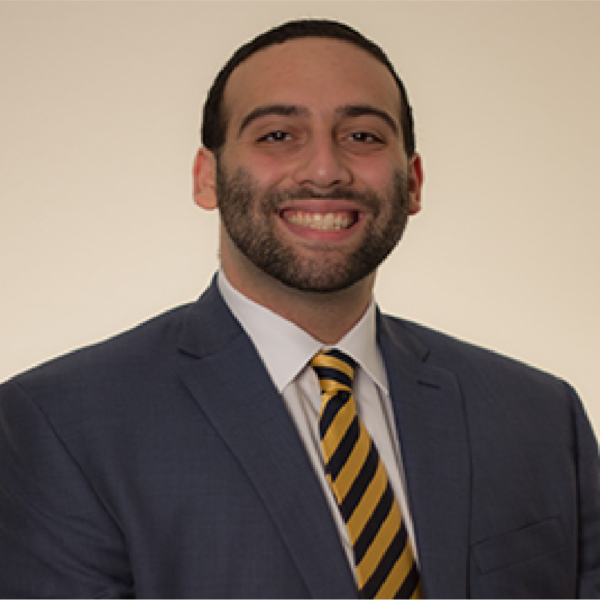 After five years of service managing the largest region in the history of AKPsi, he was appointed as the inaugural Area III vice president in 2014 and elected as the fraternity’s fifth executive vice president in 2015. A recipient of both the bronze and silver Distinguished Service Awards, Mike is a senior manager with the United States Federal Government in the national security sector. 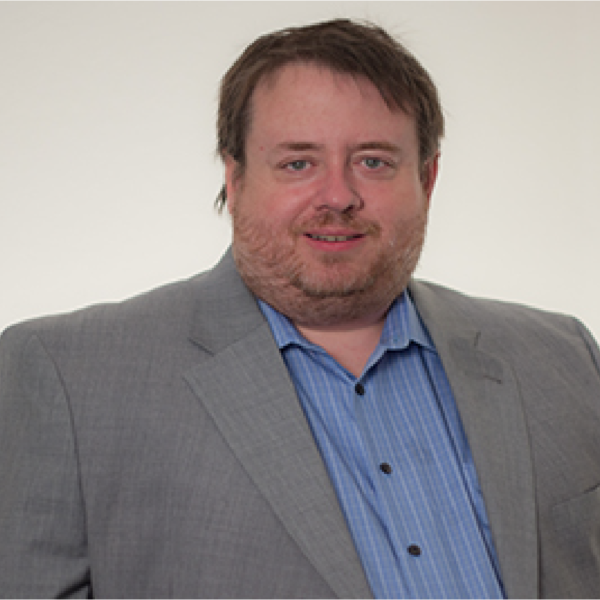 Prior to joining the government, Mike was employed by Booz Allen Hamilton, a management consulting firm located in Northern Virginia, for 12 years. In his spare time, Mike volunteers with AKPsi, provides leadership seminars to DC-area young professionals, and cheers on the Hokies. Jacqueline was initiated as a Brother to the Xi Sigma chapter Spring 2004. She graduated from Florida International University with a Bachelors in Business Management and her Masters of Science in Human Resource Management. She currently works for Victoria’s Secret and has been with the company for 3 years. 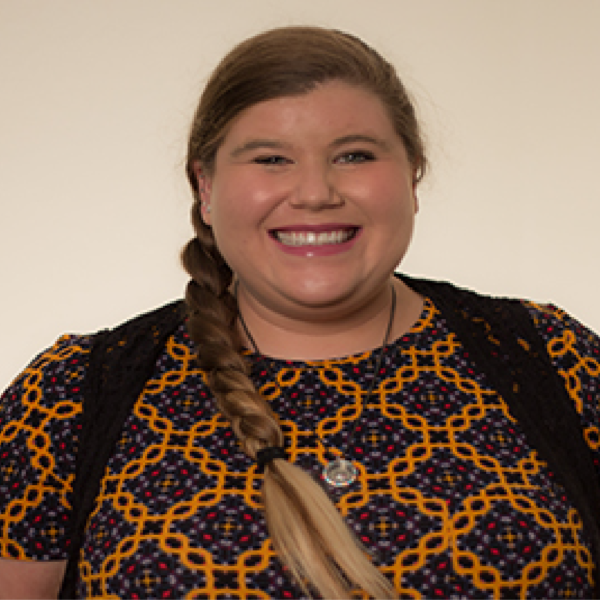 Jackie’s involvement with Alpha Kappa Psi didn’t end as a student member. She has held several positions as a volunteer including her previous role as regional director for the Atlantic Gulf Coast Region.  Jackie’s favorite part about Alpha Kappa Psi is how she gets to see the future of business through the development of principled business leaders. She currently lives in Miami, Florida. Jackie enjoys travel, dance and most of all, Disney. Stephanie Van Dellen joined Alpha Kappa Psi in 2008 at the Kappa Chapter at University of Oregon where she earned her bachelor’s degree in business administration. She also holds a master’s degree in organizational change and development from the University of Manchester. While living in England, she served on the Sigma Upsilon Phi Chapter Advisory Board. Stephanie has previously volunteered as the Desert Southwest Regional Director and Section Director for San Diego and San Francisco Bay Area. Currently, Stephanie is working on her doctorate degree in organizational leadership studies and teaches undergraduate leadership courses at the University of San Diego. 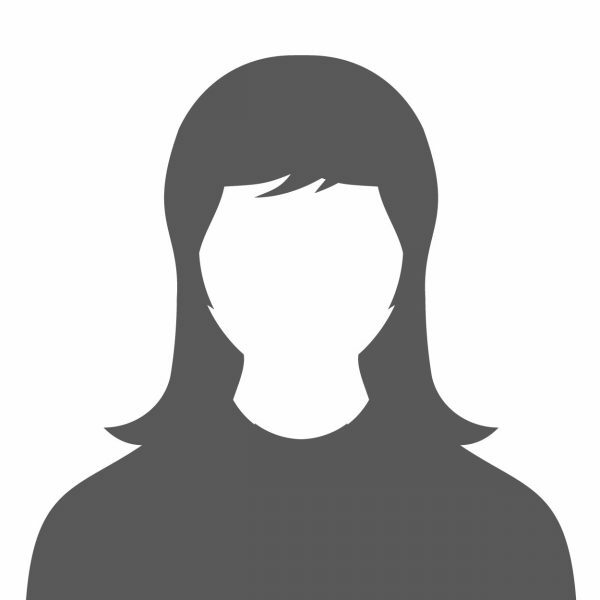 Prior to her career in academics, Stephanie worked in human resources and recruiting. Stephanie is an avid traveler has visited twenty-five countries. She also enjoys photography and spending time with her dog, Phoebe. Jonathon was initiated by the Zeta Rho Chapter at Marshall University in 2011, where he graduated with his B.S., in Business Management. 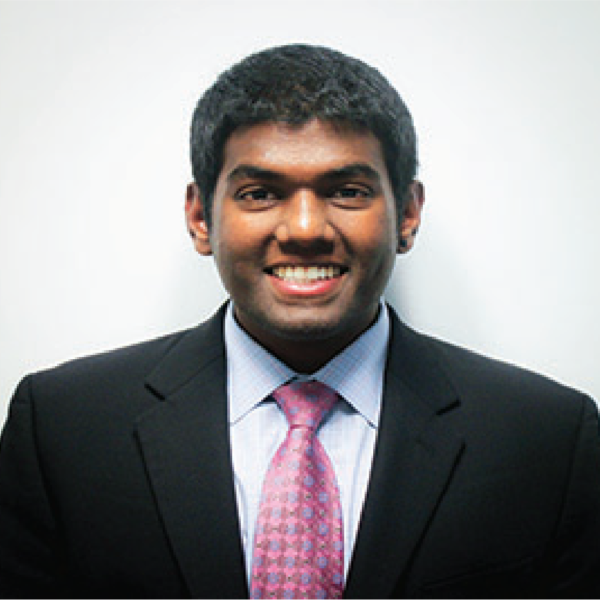 As an undergraduate, he served his chapter as vice president of administration and chapter president. In 2013, he was named President of the Year by Marshall University for his role with Alpha Kappa Psi. Post-graduation as an alumnus volunteer, Jonathon was appointed as a chapter advisor, section director in the former Eastern Region, and then Chief of Staff of the Eastern Great Lakes Region. In 2015, he received his Master’s in Health Care Administration from Marshall University. After graduating, he then was appointed as the Regional Director of the Valley Crossroads Region. 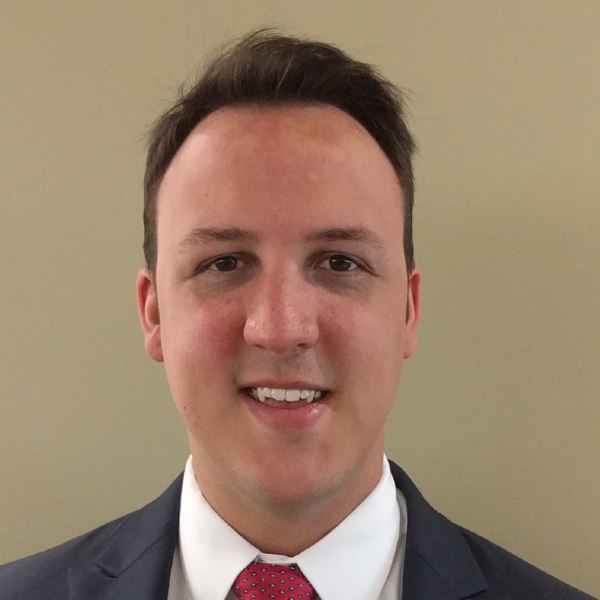 Jonathon is currently the Financial Analyst of Surgical Services at Cabell Huntington Hospital. Overseeing 9 high revenue generating departments, as well as handling all expense decisions. In his free time, he enjoys traveling, camping, and brewing tasty beverages. Jane was initiated by the Omega Theta Chapter at the University of Maryland, College Park in 2010, graduating with a B.S. in Marketing and a Minor in Leadership Studies. During her time as a student brother, she served as the director of pledge education and as a member of two Installation teams for the region. After graduation, she served in multiple volunteer roles including chapter advisor and regional manager and, most recently, Central Atlantic Regional Director. A Bronze Distinguished Service Award recipient, Jane was also named Regional Manager of the Year 2013-14. 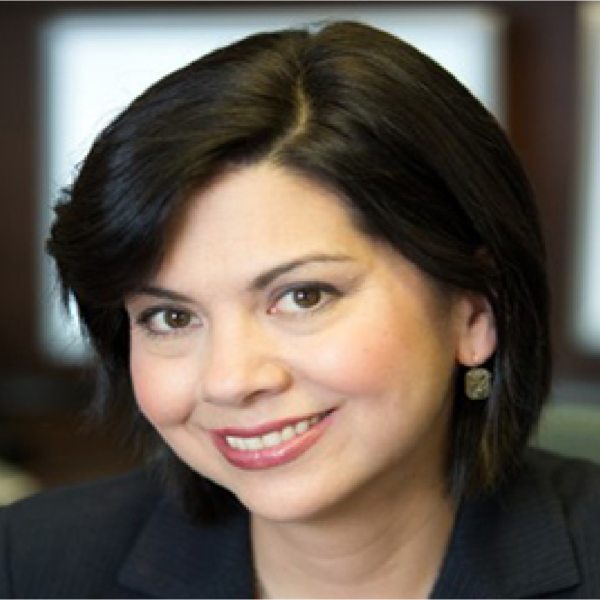 She went on to run the digital presence for 8 companies in the Mid-Atlantic and then starting J. Azzinaro Consulting, LLC- a digital marketing consulting company for SMBs. Jane is finishing her full-time MBA program at the George Washington University, pursuing commercial strategy consulting post-graduation. She resides in Silver Spring, Maryland but can often be found traveling to various cities and counties, sometimes with her dog Macchiato in tow. 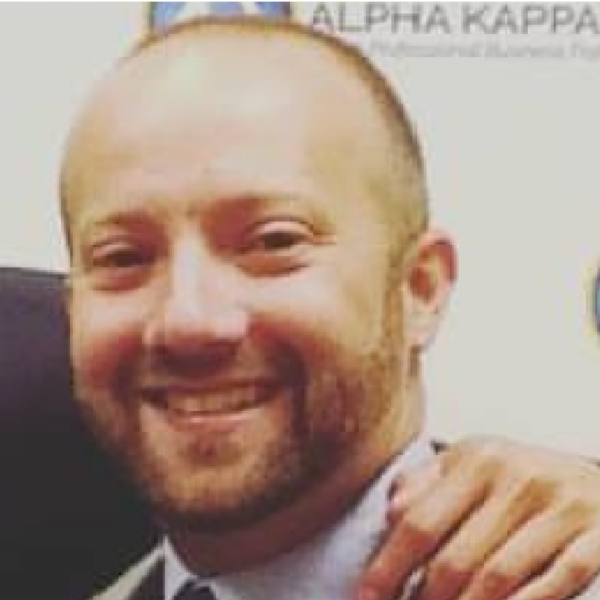 Greg was initiated into the Kappa Lambda Chapter at Northwood University in the fall of 2002. Since then he has served in a variety of fraternity volunteer roles from chapter advisor, section director, regional director, and the former Area II Vice President. Greg also leads the pledge education task force which developed the L.E.A.D. program. He is a recipient of the first-degree Silver Distinguished Service Award. In his professional life he is a Senior Consultant for Kearney and Co. in Washington, DC. In his free time, Greg enjoys spin, TRX, Washington Nationals games, and traveling. As Vice President for Member Development and Area IV, Greg will be responsible for continuing to lead the execution of the pilot of the new PEP program (L.E.A.D.) and the evolution of the officer success pathway/officer training and Presidents’ Academy. 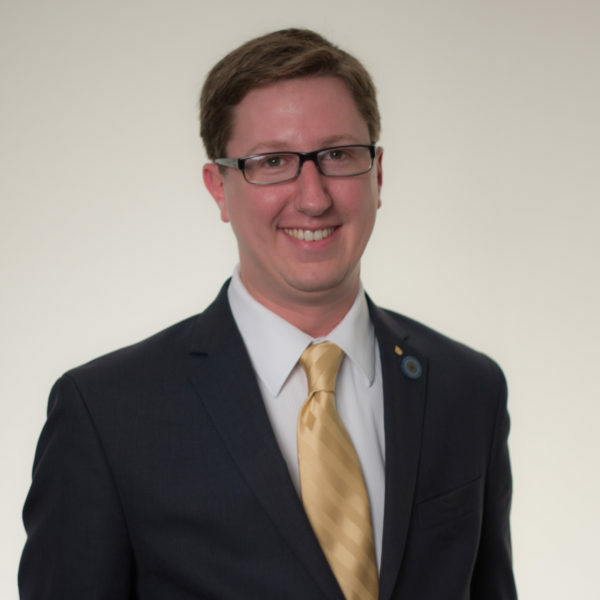 As the lead for the PEP task force for nearly two years, Greg is ideally-suited to continue this effort with its next phase of implementation across the entire Fraternity. He will also be responsible for leading Area IV, which includes the Atlantic Gulf Coast Region, the Carolina Coastal Region, the Southern Bluegrass Region, and the Southern Delta Region. Shane was initiated into the Pi Rho Chapter at California Polytechnic State University in 2006. He graduated with a BS in business administration with a concentration in marketing. After graduating, Shane served as chapter advisor and regional manager of special events in the Southwest Region. He was appointed to regional director in 2013 and is excited to serve the Central Pacific Region. 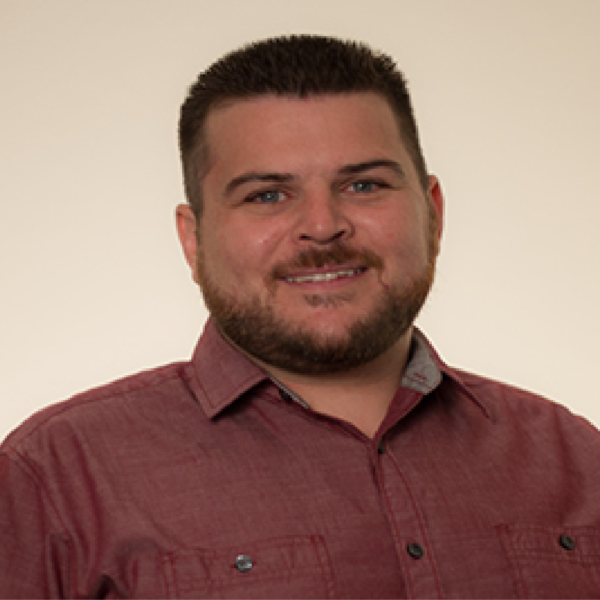 Shane resides in the East Bay and is the vice president of General Roofing Company based out of Oakland. He also serves on the board of directors for the Boys and Girls Club of San Leandro. In his free time, Shane likes to travel and volunteer in his local community. Egbar was initiated into the Zeta Omicron chapter at Southeast Missouri State University. He earned his B.S. 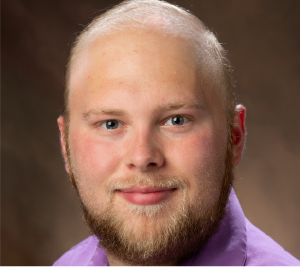 of Business Administration, Finance and MBA in Management from Southeast Missouri State University, and his MA of International Business & Economics from FH Schmalkalden. Professionally, Egbar is the Manager of Systems and Compliance and adjunct faculty at Southeast Missouri State University. Additionally, he is a world champion case competition competitor, avid traveler, and enthusiast of technology and coffee. Bailey joined Alpha Kappa Psi at the Theta Sigma Chapter at Texas State University in 2012. While at Texas State, she served her chapter as secretary, pledge trainer, vice president of membership, and president. In December 2015, she graduated with a BBA in Marketing with a Professional Sales Concentration. A bronze DSA recipient, she began volunteering her time as a regional manager for the Northern Rio Grande in 2016. She resides in the Central Texas area where she volunteers as a team leader for the annual Cystic Fibrosis Foundation Great Strides Walk. Murray currently works for ADP in their Human Capital Management Outsourcing division in San Antonio. Wendy was initiated in 1980 at the Theta Xi Chapter at Tri-State University in Angola, Indiana. She served as chapter president, chapter secretary and alternate delegate at the 1981 Houston Convention. 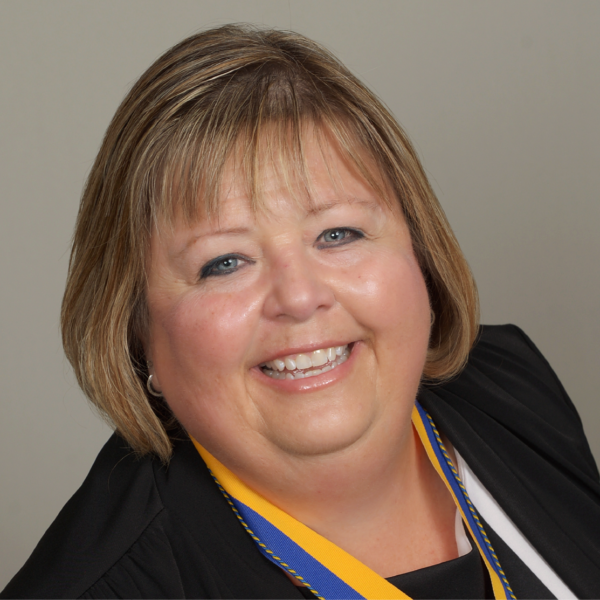 During her fraternal career, she served in many volunteer roles including Midwest regional director, Oregon Section Director, chapter advisor to Theta Chapter at Oregon State University & Epsilon Omega Chapter at Portland State University. Since 2000, she has served as the Convention chair. She was also employed by the fraternity as the director of member services. She has attended 18 Conventions, numerous PBLIs, other regional events, and served on the installation teams for the chapters in the United Kingdom, Hong Kong, and Canada. Wendy has been named a JD Sparks Fellow, awarded the Silver Distinguished Service Award, second degree Silver Distinguished Award, Chairman’s Award, Chapter Advisor of the Year Award, and the Gold Degree Distinguished Service Award. 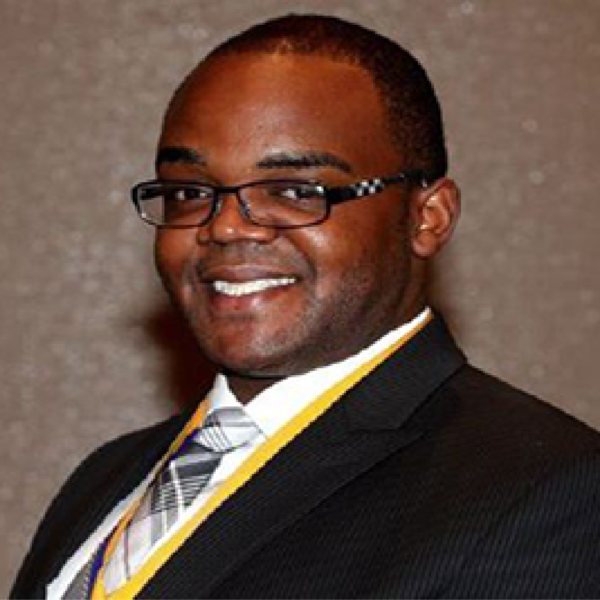 Tonjie Reese was initiated into the Psi Xi Chapter at Grand Valley State University in 2010. During her time as a student brother, Tonjie served as a pledge educator and on various committees. 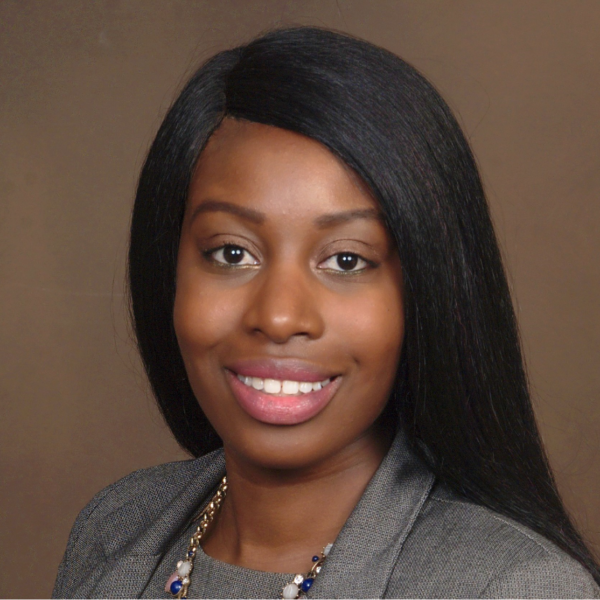 After graduation, Tonjie was appointed as the colony advisor for the Eta Nu Chapter at the University of Michigan-Dearborn and she served as the colony/chapter advisor for the Psi Alpha Chapter at Ferris State University. Later, she was appointed as the regional manager of membership for the Eastcentral Region. During PBLI in 2013, Tonjie was appointed as the Michigan section director. Professionally, Tonjie is the director of prevention education at Turning Point, a domestic violence and sexual agency. Additionally, Tonjie is a member of Alpha Kappa Alpha Sorority, Inc. and enjoys mentoring, painting and reading in her spare time. Chelsea was initiated into the Beta Chapter at the University of Denver in 2010. She later graduated with a bachelor of science in business administration with a concentration in management, a bachelor of arts in history with a concentration in World War II Studies and a minor in biology. After graduation, she served on the Westcentral Regional Management Team as a membership manager. She was appointed regional director in 2012. She is currently in school pursuing her MBA in Management and her MLS. in philanthropic leadership as well as masters certificates in French and Spanish. She works for the Leukemia and Lymphoma Society and in her free time enjoys competing in marathons and triathlons around North America. David was initiated into the Omega Psi Chapter at Carnegie Mellon University (Pittsburgh, PA) in 2011. 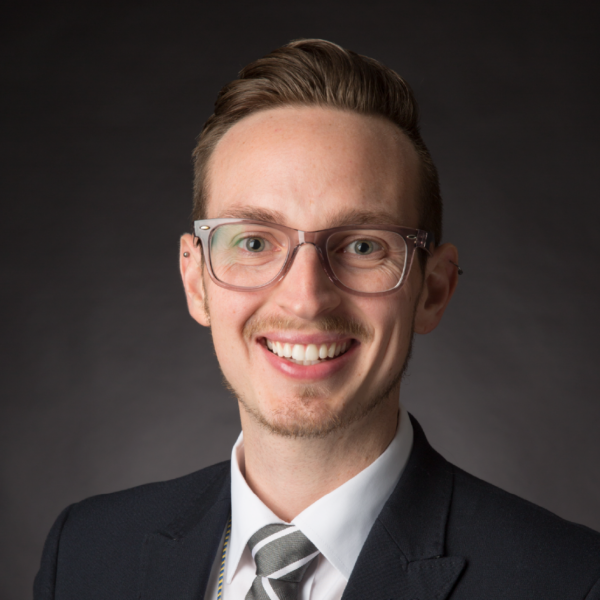 During his time as a student member, he served on the executive board (e-board) as historian, vice president of membership, and vice president of pledging. He also served the chapter outside of the e-board as booth chair, cabin chair and warden. In 2015, he graduated with his B.S. in Decision Science and Human-Computer Interaction. David has been active in his role as a volunteer by taking on positions of chapter advisor, regional manager , and section director. He currently works as a management consultant, and in his free time, enjoys cooking, photography, and hiking. Courtney was initiated into the Beta Iota Chapter at the State University of New York at Buffalo in 2012. During her time as a student member, she served as the brotherhood chair, ambassador, and vice president of administration. 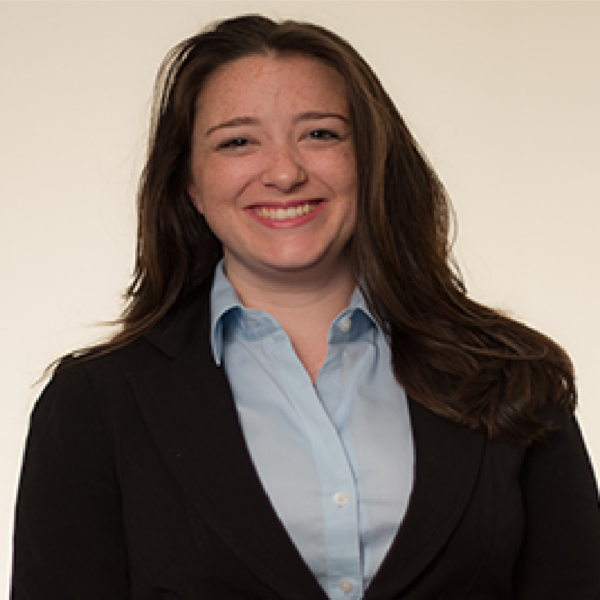 She also served as her chapter’s delegate to UB’s Professional Inter-Fraternal Council. 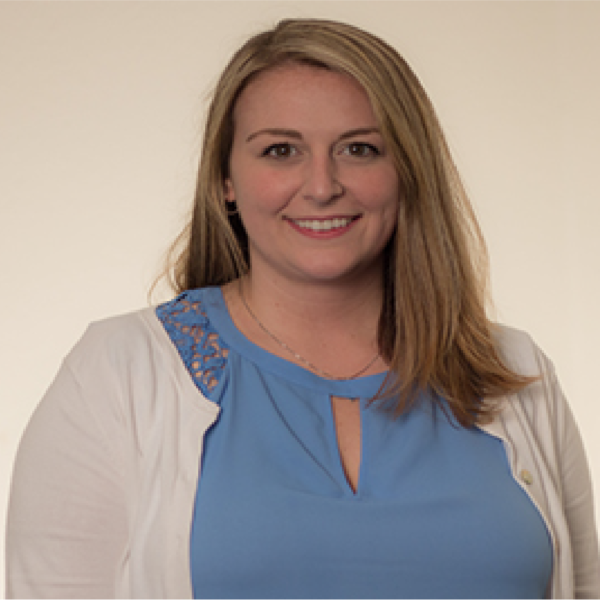 Courtney has been very active in her role as a volunteer taking on positions of chapter advisor, colony advisor, section director, regional manager of the ACR, and more. In 2014, she graduated with her B.A. in Physical Anthropology. In her free time, she can be found around her hometown of Buffalo hosting various events and taking in all the city has to offer. Jamie was initiated into Alpha Kappa Psi through the Omega Upsilon chapter at Clemson University in the Spring of 2008. He received his B.S. degree in Civil Engineering from Clemson in 2011, and his M.S. degree in Civil Engineering from Kansas State University in 2015. While in Omega Upsilon, he served as the VP of Membership and Chapter President. 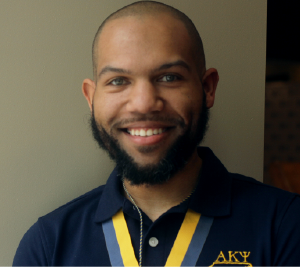 As an alumni brother, Jamie has served in many volunteer capacities including Chapter Advisor, Regional Manager, Section Director, and the PEP Taskforce. He is also a recipient of the Silver Distinguished Service award (First Degree). Jamie is a licensed Professional Engineer with the Virginia Department of Transportation and works as a Traffic Design Engineer in Richmond, Virginia. 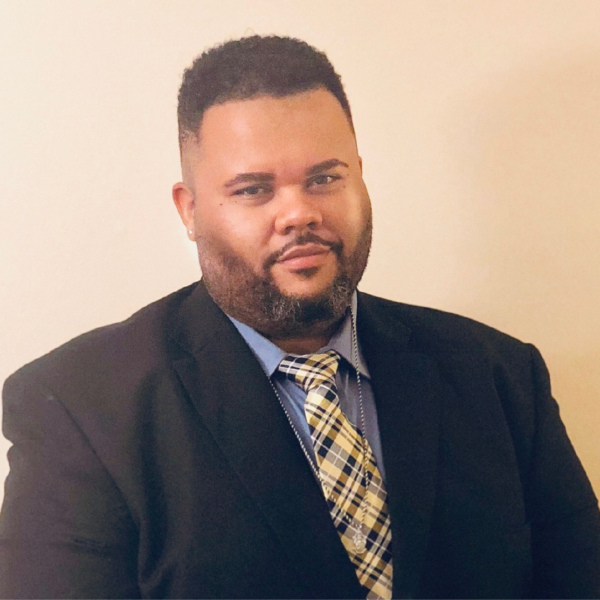 He is also a member of Alpha Phi Alpha Fraternity Inc., and enjoys traveling, playing tennis, working out, music, NCAA sports, serving his community, and is an avid roller coaster enthusiast. Tim was initiated by the Nu Chi Chapter at the University of Central Florida in 2004. In 2008, Tim graduated with his B.S.B.A. in Marketing. A recipient of the silver Distinguished Service Award, Tim has volunteered for the fraternity in various roles including regional manager of probationary chapters, chapter advisor and section director. In his professional career, Tim was a manager for AT&T where he excelled in training and coaching his employees. In 2014, Tim left AT&T to pursue realty where he has received the “Rising Star” award and the “Presidents” Award for his real estate accomplishments. Outside of his career and volunteer work, Tim enjoys spending time with his wife and son, Lori and Logan. Alex was initiated into the Xi Pi Chapter at Lock Haven University (Lock Haven, PA) in 2002. He served the chapter in many positions including two terms as President and one term as a Vice-President. After graduation in 2007, he immediately started his volunteer career in the former Eastern Region, now the Atlantic Metro Region. For the past decade, he’s volunteered as a Chapter Advisor and Section Director. He is a charter member of the Greater Philadelphia Alumni Chapter and served two terms as Vice President and two terms as President. Alex was awarded a Silver DSA at the 2017 Convention in Las Vegas. Alex has a BA in Business Administration and Accounting, with minors in Political Science and Philosophy. He earned his MA in Philosophy from West Chester University in 2012. Alex resides in the Philly suburbs and works for Workday, a recognized leader in cloud-based ERP software and one of the top 10 workplaces on Fortune’s 100 Best Places to Work list. Alpha Kappa Psi is pleased to announce the appointment of Lea Goodwin, Louisiana State ’99, as the Southern Delta Regional Director. The appointment takes effect immediately. Lea was initiated in 1999 at Louisiana State University’s Beta Chi chapter as a re-chartering founder and is also a founder of the Crescent City Alumni Chapter in New Orleans. 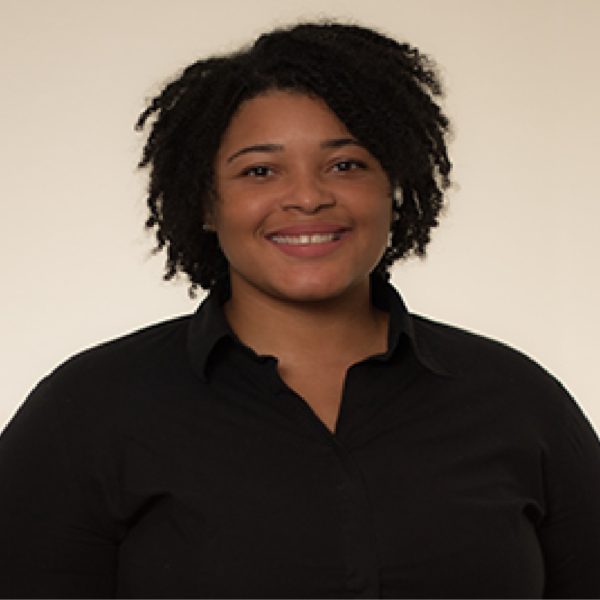 Before her appointment as Regional Director, Lea, a Silver DSA recipient, served as a Fraternity Manager, on the Southern Delta RMT as Section Director for Louisiana since 2014, and as the Chapter Advisor for LSU intermittently for a total of eight years. 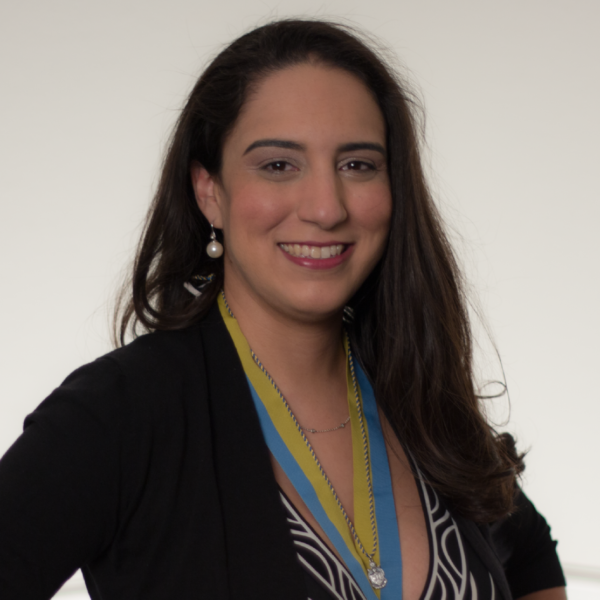 Professionally, Lea is a Project Management Professional (PMP) in the healthcare industry, focusing on healthcare analytics/business intelligence and business development. Lea has over 25 years of experience in information technology and over 15 years of project/program management experience in overseeing diverse and complicated tasks with a track record of success in implementation of complicated deliverables. The regional director is a volunteer position that is charged with the specific responsibility of ensuring a quality student experience through effective chapter operations. Working in conjunction with appointed section directors, the regional director is the first line supervisor of chapters, chapter officers and chapter advisors in a specific geographical area. Alyssa was initiated into the Gamma Epsilon Chapter at Penn State University in 2006. She graduated in 2010 with a bachelor of science in marketing and minors in Chinese, international business, and Jewish studies. 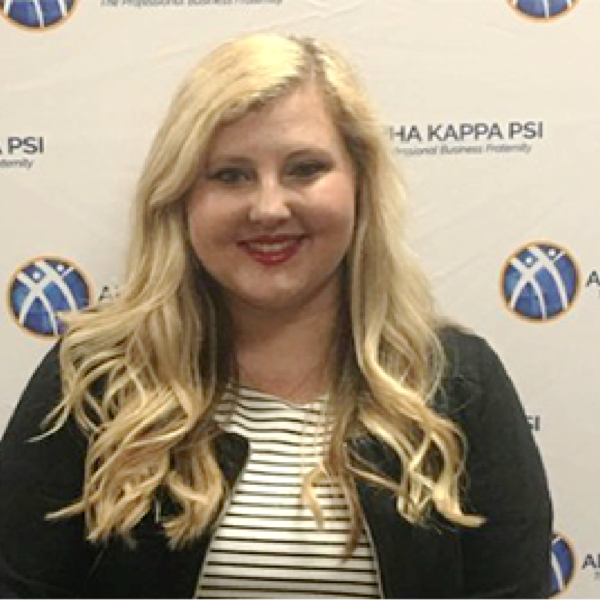 After graduation, Alyssa worked for Alpha Kappa Psi as an Expansion Coordinator and traveled throughout the United States and Canada to open new chapters of the fraternity. 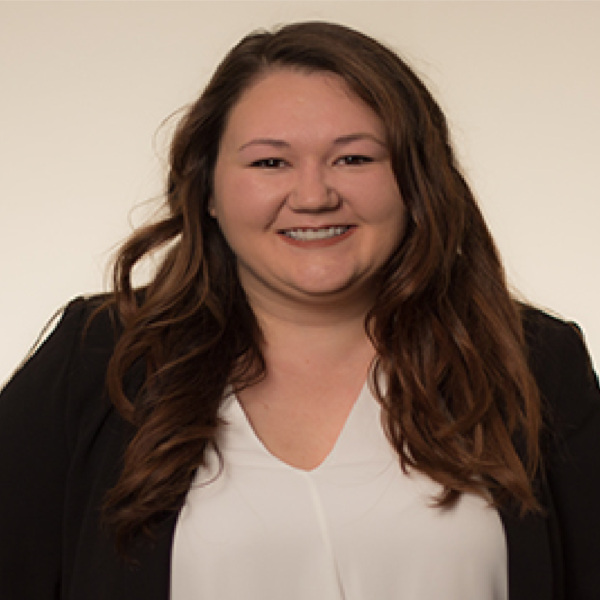 Following her employment as an AKPsi staff member, Alyssa served in a variety of volunteer capacities, most recently as the inaugural Eastern Great Lakes Regional Director. 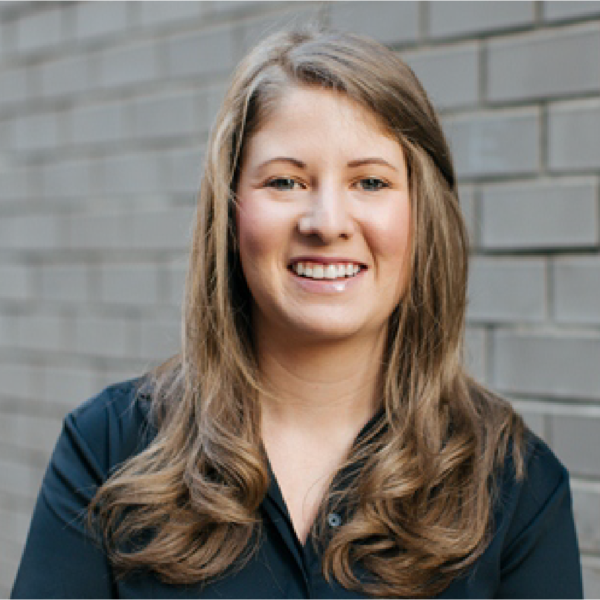 A recipient of both the bronze and silver Distinguished Service Awards, Alyssa recently earned her MBA from New York University with concentrations in strategy and marketing. Professionally, Alyssa is employed by Ross Stores, an off-price apparel and home fashion chain, in their New York Buying Office.